The seven Structure Diagrams are the core components that must be present in any system being modeled. These include Class, Component, Composite Structure, Deployment, Object, Package, and Profile diagrams. 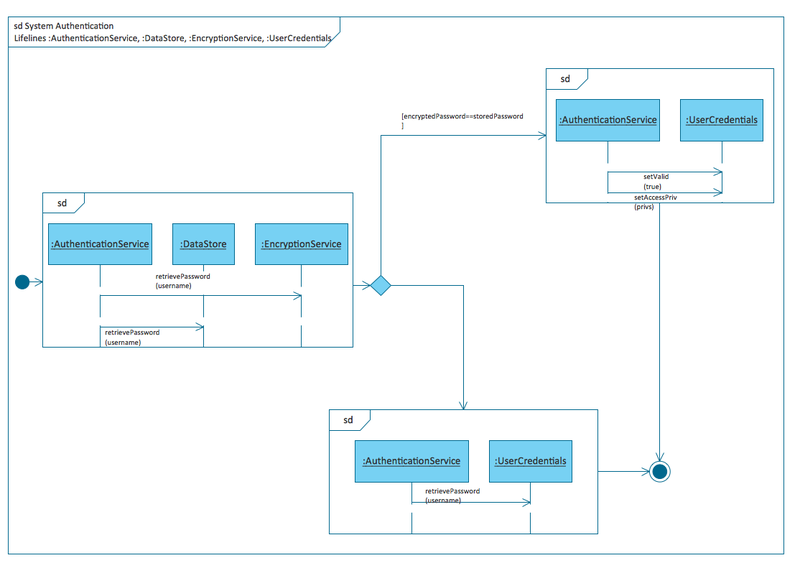 To assign functionality, we have three Behavior Diagrams: Activity, UML State Machine, and Use Case diagrams. The Interaction subgroup controls the flow of control and data, including diagrams for Communication, Interaction Overview, Sequence, and Timing. For UML experienced users, the diagrams and objects will be familiar; while the Rapid Draw interface offers an intuitive way to connect and shape your diagrams. The solution is designed to make your UML diagramming simple, efficient, and effective. In the coming months, there will be more solutions making use of the Rapid Draw functionality. ConceptDraw have released an exciting new UML solution, using our intuitive RapidDraw technology. In this video, you will learn about how RapidDraw works, and how it can help you create your UML diagrams quicker and easier than ever. Our step by step process shows you how to make even the most complex diagrams with just a few clicks. The 13 diagrams contained in the Rapid UML Solution offer an essential framework for systems analysts and software architects to create the diagrams they need to model processes from the conceptual level on through to project completion. Thanks to the tools in this Solution, UML diagramming has never been faster or easier.